The Common Bottlenose Dolphins which is also known as Tursiops truncates are normally found in warm and temperate seas worldwide (it is named bottlenose due to the animal having a short rounded snout or ‘beak’ that looks like a bottle). It is actually similar to small whales and falls under the category group known as ‘toothed whales’. Previously, it was known as T. truncates but recently this type of dolphins has been split into two which is the Common Bottlenose Dolphin (T. truncatus) and the Indo-Pacific Bottlenose Dolphin (T. aduncus). The most popular among the two species is the Commons bottlenose dolphins because it is often being used in marine parks, dolphinarias as well as in movies like Flipper and also television programs. The air breathing mammals are normally seen coming up to the sea surface to breathe through its blowhole on top of their heads. In terms of look, apart from its bottle-like snout, the mammals are sleek, aerodynamic and able to travel at a speed of approximately 35 kilometers per hour with the help of its prominent dorsal fin that slices through the sea water. The Commons bottlenose dolphin’s sizes, shapes and colors vary depending on the environment, climate and countries it is located but normally it has a dark grey back (blends with the deep dark waters below the sea) and a light grey belly (blends in nicely with bright surface waters) which enables it to disguise itself from potential predators like killer whales or sharks. 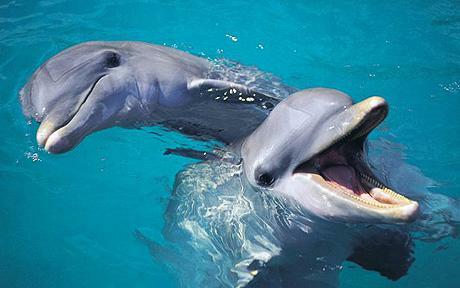 It also has a more flexible neck than other dolphin species because 5 out of its 7 vertebrae not being fused together. Newborn Bottlenose dolphin weighs in at least 15 to 30 kilograms with up to 70 to 130 centimeters long and able to grow seven times more than its original body weight during the first year. 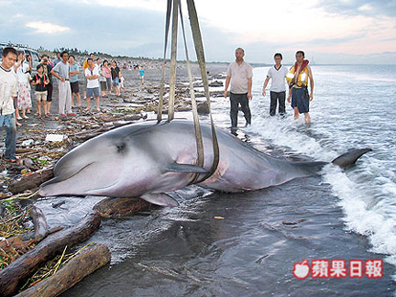 As for adult Bottlenose dolphin, it is able to grow at least 2 to 4 meters long (6.6 and 13 feet) with its weigh ranging from 150 up to 650 kilograms (330 and 1,400 lb), plus having a lifespan of more than 30 years. The Common Bottlenose Dolphins can be found in temperate and tropical seas, inshore, coastal, shelf, and oceanic waters all over the world for instance in the Black Sea, off the coasts of North America, eastern and western Mediterranean, the northeastern Atlantic, Caribbean, Asia and the Oceania. The most popular spot to see the real-life and friendly Bottlenose dolphins is in Western Australia’s for example at the Shark Bay Marine Park, Monkey Mia which is a popular tourist resort located about 800 km north of Perth, Western Australia. The mammals regularly visit the beach to interact with people and accept fish from them with supervision from rangers ensuring that the dolphins does not ate too much food in order for them to continue their life in the ocean. 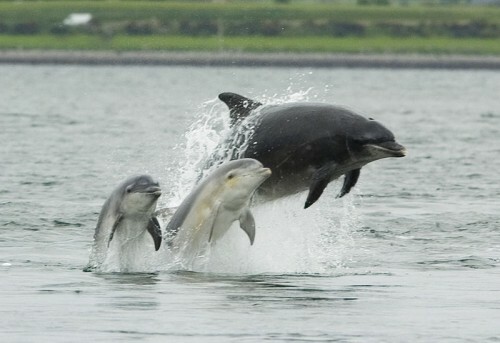 The diet of the Bottlenose dolphins consists of a wide variety of fish, squid and octopuses, plus they are able to eat approximately 15 kilograms of its catchment each day. It uses its ability of echolocation whenever they hunt for food or while navigating through the ocean. 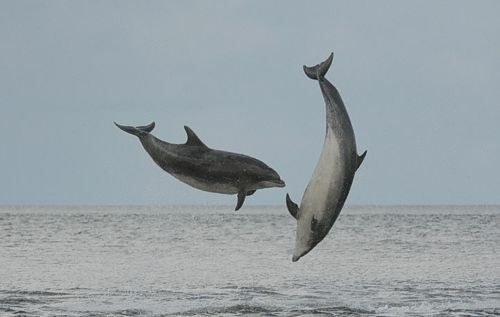 They provide clicking sounds that are able to travel up to 200 meters through the water in front of them before it makes its way back to the dolphin allowing them to know the size, shape, speed, distance and direction of their victim. They can also trap groups of fish or squid by working together within their group for instance, surrounding the victims before diving into the middle to feed them self. Apart from that, the Common Bottlenose dolphins are also not shy from being threatened especially from its natural predators namely the killer whales, tiger sharks and dusky sharks. 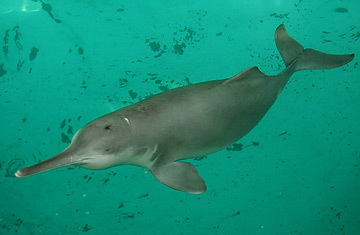 Other threats for the mammals include entanglement in fishing nets like the trawling, drift and gill nets; the destruction of their habitats, pollutions, disease (Morbillivirus), illegal killing especially in countries that kills the dolphins for food, plus the decreasing of their main food availability.